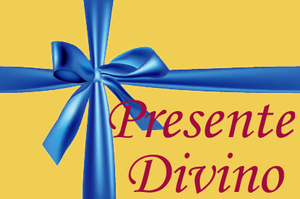 (Eternal Father): “My beloved children, I, your FATHER, descend again today, from the heights, to bless ye and give ye My Peace. I Am your FATHER. I Am your ORIGIN. Ye are My seeds, ye are My progeny. I Myself wove your being, your body in your mother's womb. I Myself created your soul and breathed into her the breath of life. I Myself created each cell of your body, each tissue and I know ye one by one as you are. I know ye inside and out and investigate your thoughts and your kidneys, even when you are sleeping. I know ye all and I know how dear you all are to Me. I Am your FATHER who wants your salvation, whatever the cost, so throughout history, I sent ye so many Prophets, so many Holy Men, to call humanity to return to Me. In the fullness of time, I sent My Son, My only Son, JESUS, so that He then, by His life, works, deeds, passion, death and resurrection, redeems ye, repairs your offense made to My Divine Majesty, by your early Fathers. And He then redeemed and freed ye from the slavery of sin and of Satan. Ye, truly, were bought by the price of My Son's Blood. And, as if this were not enough, I gave ye the Mother of My Son, Jesus Christ, My favorite Daughter, to be your Mother so that She takes care of ye, watches over ye, protects ye and teaches ye what most pleases Me, what is holy and pure in My Eyes, what is right, just and righteous in My presence, because She was always Master of this and truly can teach ye that which pleases Me, that which is righteous and holy in My Eyes. Yes, in the way that Joseph, the Adoptive Father of My Son, Jesus Christ, in the way that He protected and guarded My Son, ye can have an example of how much I love ye, of how much I protect ye and how much I want to save ye, whatever the cost, from all evils, especially the worst of all: sin and eternal damnation. I, your FATHER, truly want to sanctify ye, I want to dwell in your heart, I want to be your FATHER and I want you to be My children. But, with sin, none of ye may be My children. Because sin makes ye belong to the progeny of the infernal serpent, of My enemy, of the rebel and with sin, you lose all resemblance to Me. I prefer those children who strive more to be holy, pure, conformed to My Commandments, conformed to My will. Those who are not acquiescent with wickedness and sin. Those who emulate the Saints to be like Them. Those who strive to walk in righteousness and in justice, in My Presence. These are the children that I prefer most, although I love all men and want the salvation of all of them. I prefer those who have true love for Me. And which is the true love that I want from ye? It is that love that makes ye dread committing even the slightest sin to not offend Me, to not hurt Me, to not make Me suffer your loss. This is the love that I want, this is the love that I seek in My children and do not find it. 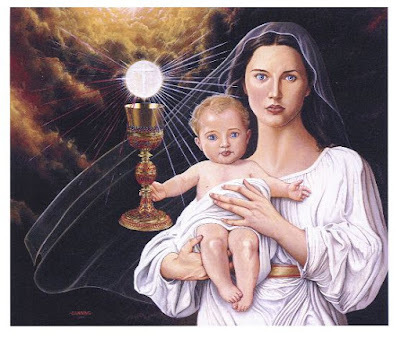 I traveled with My Son, Jesus and My Most Favored Daughter, Mary, the Mother of My Son; I traveled the whole world in search of ten souls like this and did not even find ten. Because men have their heart dominated by sin, the venomous serpents of sin are nested in them. And whenever I approach them, all I find is: sin, sin, sin; disaffection, disaffection, disaffection; impurity, impurity, impurity; lies, crimes, hate, violence and all sorts of sins that offend Me. Sensuality, rather than embellishing bodies, makes them ugly, make souls ugly before Me. The pride of the flesh, the pride of life, concupiscence, fill the hearts of men and transform them into a completely ruined image, totally disfiguring that beautiful, pure and holy image that I had given to man when I created him. Come, My children, come restore this destroyed image, come to Me so that uniting with Me you may regain the innocence, the purity, the humility, the love and virtues so that thus, you may once again return to resemble Me. With what sadness do I see how much ye have turned away from Me, how you are different than Me; you no longer have any resemblance to Me. Now it is time to return, to regain the holiness that makes ye like Me and My true children. Yes, My Arms are open, just as the Father of the prodigal son, to receive ye back. Come to ME and I will once again give ye the robe of purity, which will take from ye the ragamuffin, dirty and stained robe of impurity. Come to Me and I will give ye again the ring of holiness and of perfect love, the sandals of righteousness and rectitude, giving ye, that now you have an appearance destroyed by sin, by the devil, the cruel boss, giving ye a new elegance, a new beauty and will truly recognize ye as My children and will truly make ye heirs of all My goods, all My possessions. 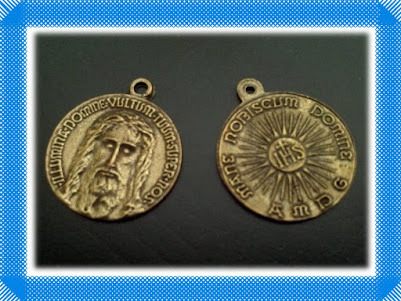 Come to ME, My children, but do not come proudly, as so many intend today, thinking that I receive them if they come to Me directly with presumption, pride and haughtiness, not seeing their miseries, their sins and their face soiled by their sins. Come to ME through MARY, My favorite Daughter, the Mother of My Son. Come to Me and I will receive ye, because if you come to Me through Her, if She asks Me for ye, then, I will receive ye, I will embrace ye and will restore to ye the beauty that you had before you ruined your souls with sin. Verily I say unto ye: the sinner who pridefully comes to ME without MARY, this one I reject, I repel, I turn My face against him. But the one who comes to ME though MARY and with Her, to this one I will cast a glance of Compassion and Love. 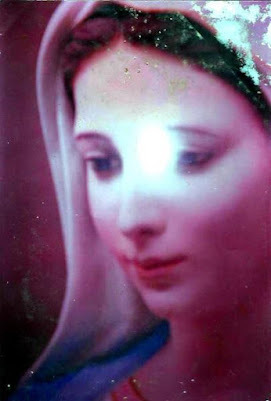 The one who I truly see diligent, striving to convert himself, to follow Mary's advice, the one whom I truly see following the examples of the VirginMary, trying to follow the examples, imitate Her virtues, whilst still having weaknesses, this one I will receive, I will forgive him and I will give him all the necessary graces for him to convert himself of his sin and is holy. My Eyes now land upon ye, My beloved and elected people; how long have I waited for ye Here. Yes, ye were in sin, lost and My Love, along with Mary, with My Son, Jesus and the Holy Spirit, Our Love planned your conversion, planned your salvation and in thousands of ways Our Love lured ye Here. Our Love, in mysterious ways of Love, has made ye finally know Our Coming Here, in this Holy and Elected Place. And Our Love Here drew ye, forgave ye Here, cured ye, raised ye, beautified and perfumed ye with Our Graces, with the Virtues that are so dear to Me and with all the anointing of My Spirit. Yes, Here, truly, My Fatherly Love was manifested to ye with its entire splendor, with its entire strength and with its entire potency. You will not be saved only if ye do not want to be, because from My part, Here, I have never denied anyone My help, My Grace and My protection. Therefore, today, I say unto ye: Come to Me while I still let Myself be found by ye. Come to Me while I Am still near. Come to Me while I still allow Myself to be touched by ye. So that thus, your soul truly can get out of death and of sin and can live again exactly like in that vision that I gave to My Prophet. He who saw a field full of bones, the bones of the dead and I blew My Spirit upon the bones and the bones created flesh and tissues and nerves and organs and skin and those dead came back to life to praise Me and bless Me. Yes, this is what I want to do with you. Therefore, come to Me while I Am still near ye and allow Myself to be found. 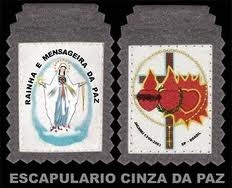 Come to ME, decided for your conversion, because those who are decided for their conversion, to these I give My Mercy. But, those who still want to keep secret, sin and sinful affections, in a secret part of their heart, these, I reject and with these, I cannot unite Myself because they have their heart occupied by My enemy. Come to ME because I want so much to love, save and raise ye. Be careful because My enemy, the devil, is lurking around ye, he is waylaying, studying your weaknesses, studying your behavior day by day plotting a perfect plan, to make ye fall precisely on those weaknesses that ye that you still do not want to renounce. So that ye do not fall into his clutches, in mortal sin and thus you do not lose My Grace, My love and salvation, I ask ye: Watch and pray always, meditate on the Commandments, because I gave them through Moses to ye, so many thousands of years ago, so that they be the light of your eyes, of your heart and the signs that indicate the right path to ye. They make ye see everything that you must renounce as well as the good deeds, the virtues that you must have and practice to be pleasing and holy in My Eyes. Follow the Life of the Saints, imitate Their Virtues, so that thus, the devil finds himself truly paralyzed before ye and has no gap through which to penetrate your soul and blind ye with his smoke. 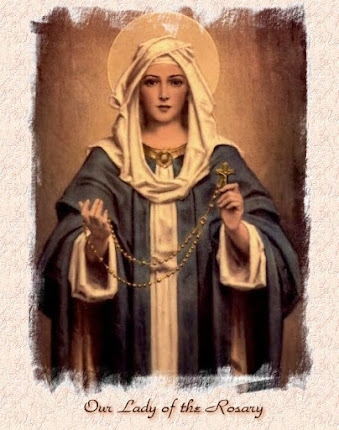 Pray the Holy Rosary every day; because it is the Prayer that, through My most favored Daughter, MARY, I most want to save ye in these times. 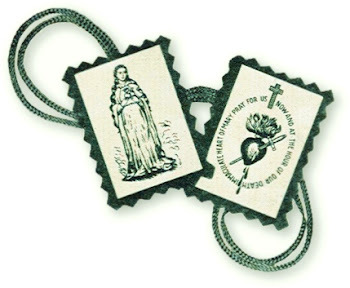 I gave the Rosary through Her and My Son, Jesus, to the world in the Apparitions of My Dominic, so that through the Mysteries of your salvation, ye might have the potent shield against all of Satan's darts, you might have the inner strength that gives ye love for holy things and the contempt for all sins and worldly things. 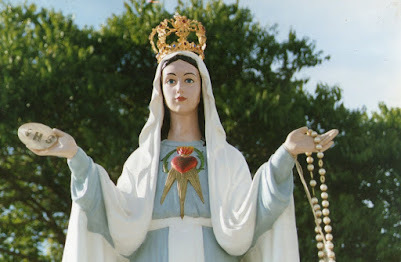 I gave ye the Rosary for It to be the light that would always illuminate, brighten your heart and your soul, banishing all spiritual blindness from your eyes, from your heart. I gave ye the Rosary so that it might be the potent means of banishing all the vices and bad habits from your life. 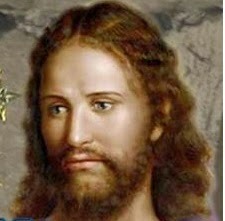 And, therefore, I say unto ye: the one who prays the Rosary will never perish. 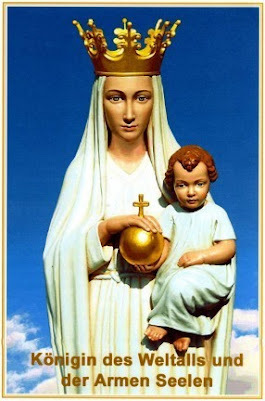 The one who serves Me, by serving Mary, My most favored Daughter, praying the Rosary every day, will not fall into mortal sin and if one does fall, they will come out of it soon, will see their sin, will truly convert, crying sincere tears and will truly resume the path of virtue. 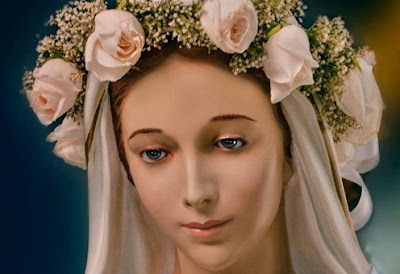 The one who serves Me by serving Mary, praying the Rosary every day, will not do the works that the devil likes, but will only do the works of salvation that please Me so much and that are so perfect and beautiful in My Eyes. 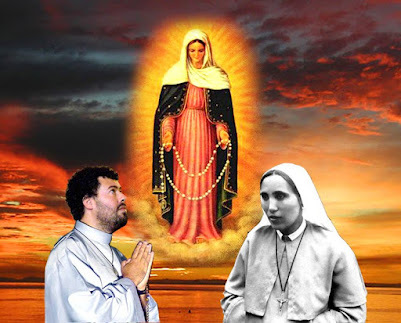 The one who serves Me, serving Mary, praying the Rosary every day, will not do works of the flesh, but will truly do those of the spirit, producing many holy works for not only their own salvation, but of lots and lots of souls throughout the world. 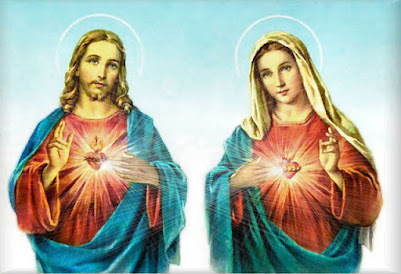 Verily I say unto ye: Here, in these Apparitions, I have proven My Love to ye as I have never before done in all the history of humanity, since I sent the Word, My Son and He was incarnated in Mary’s Womb, making Himself man, God, for your salvation. Yes, truly Here, My Love pours itself upon ye like a flood and no one may complain about Me, nor that they lacked My grace, at no point of these twenty-two years, almost twenty-three, of these Apparitions. Here, through My Most Favored Daughter, Mary, of My own Son, Jesus, of the Angels and of the Saints whom I sent Here, I gave ye grace upon grace, blessing upon blessing, wisdom upon wisdom, light upon light. And, if someone was blind, if someone fell, if someone was unfaithful, they were through their lewdness, they were through their iniquity, through their weakness and infidelity, not for lack of My help. I, truly, Here, in the person and in the work of My little child, Marcos, reflected over the years: My holiness, My divine perfection, My righteousness, Justice. And I showed everyone the works that please Me and that displease Me, the path that pleases Me and the path that displeases Me and I taught ye to be My true children, holy like Me. Yes, I came Here for My Child, Marcos. It was his works that attracted Me. It was the merits of these works that he does for Me, for My Most Favored Daughter, Mary, for My Son, Jesus, for the Spirit, throughout all these years, that attracted Me to ye. It was his love for Me that attracted Me Here and that made Me firstly, come Here to sanctify him. Secondly, to sanctify ye and now, truly finish that which Mary started on My behalf. And in third, to prepare in ye, for Me, a holy people, for when My Son returns upon Heaven’s Clouds and He then delivers ye to Me as His first fruits, as a truly precious gift, fruit of the redemption performed by Him for My honor, glory and praise. Yes, I came Here for My little child Marcos and in each work that he made along these years, in each one of the more than three thousand Cenacles that he made out of Love of Me and out of Love of Mary, in the videos of Mary’s Apparitions which are the magnum opus of these end times, that I perform for your salvation, also in the Life of the Saints, in the most beautiful Rosaries that enchant and console My Heart, in the Hours of Prayer that he made and in everything else. Yes, in these Hours of Prayer, in the Meditated Rosaries that enchant and console Me when I Am sad. Yes, when I see the world’s sins and My Heart is saddened and I feel a huge grief for the wickedness of man, I turn to this place, I turn to ye and listening to the Meditated Rosaries from Here, the Meditated Rosaries that you pray, My Heart rejoices again. I forget the sorrows that sinners give Me, I forget the heartbreaks that My children give Me and My Heart gladdens and rejoices. 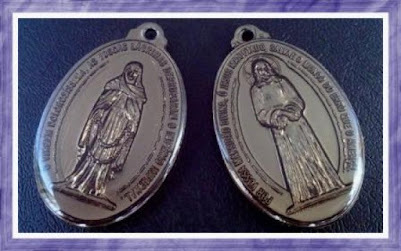 And much more still, My heart rejoices when I see My little child, Marcos, working and making these Rosaries, these Hours of Prayer, these Videos of the Saints and of the Apparitions, which please Me so much. 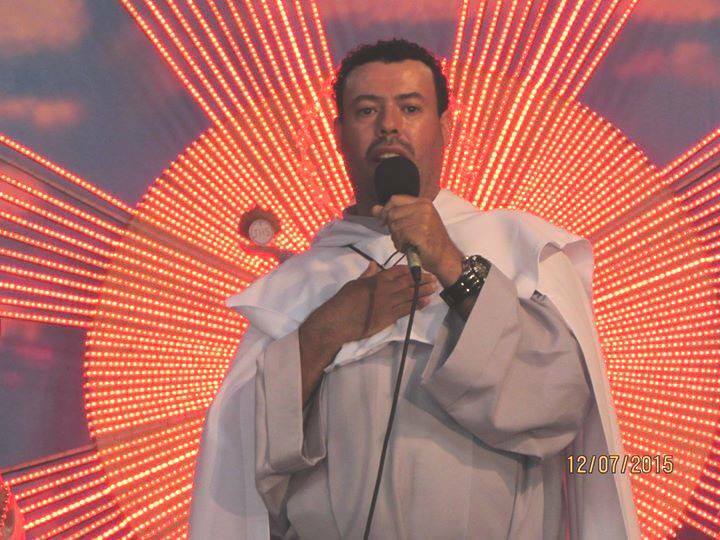 Because I see that I truly have a faithful servant on Earth, I have an obedient child, I have a soul that is truly zealous in the fulfillment of My Will, who deals with My things and does not have pride of the flesh, vanity, concupiscence, pride of life. So, My Heart rejoices, My Heart exults and when I see ye praying these Prayers with family; ye dry the tears which sinners cause Me to shed and you take from My Heart the swords that they stick in Me with the disgust that they give Me for their daily sins. Truly, ye comfort Me and therefore, Here, I Am so extravagant with you, I bless ye always more. And today, right now, I bless ye again, pouring My Holy Spirit of Love upon ye and verily saying unto ye: I love ye, My people. I love ye, generation and in ye, I seek only sincere love. Come to Me with this love and I will pour the abundance of My Peace, of My Grace and Mercy upon ye. (Marcos): “Yes. Yes. I understood everything... everything, yes. Thank You Most Holy Father.